A Physis 2D handlepost was used for this demo, but it would be the same for a Physis 3D. 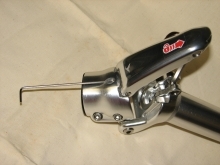 This procedure can be performed with the handlepost on the bike (much easier!). 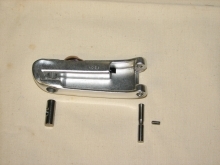 1) Loosen or remove the set screw (2mm hex) retaining the latch lever shaft, then push shaft out to disengage lever base. 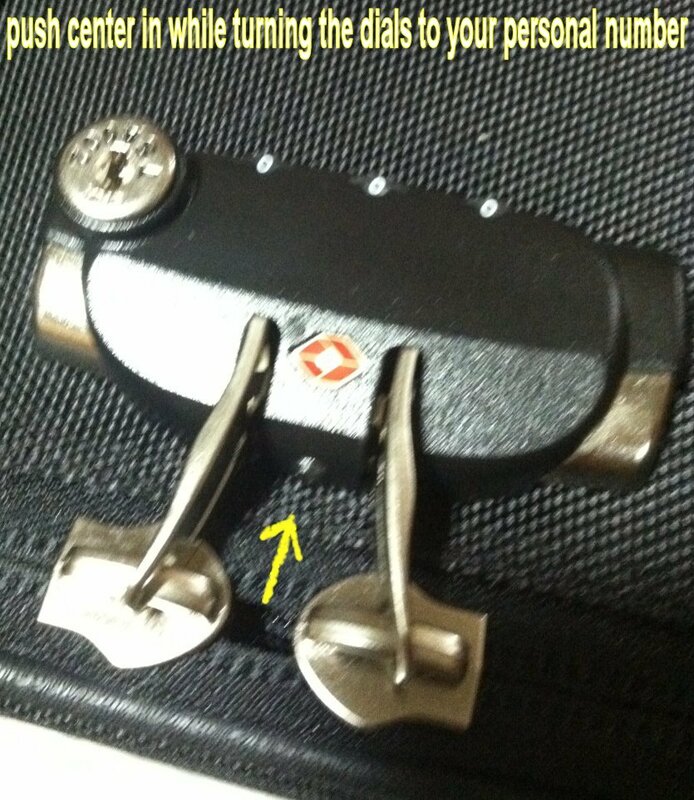 2) Unscrew the latch adjusting rod (hexagonal shaft with threads on lever end; wrench may be needed) until the lever comes free. Set aside the female-threaded barrel nut. 4) Set aside slider and screw. 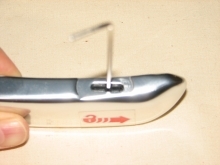 Carefully release, then remove plastic pin. 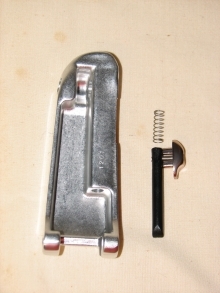 NOTE: There is a spring behind the pin which could cause the pin to shoot out; do not lose this spring! Set the spring aside. 5) Inspect end of plastic pin for damage. It should be beveled on one side and have a flat place on the other side. 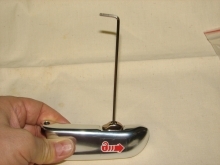 For the purposes of this demo, we are assuming that the pin is damaged. 6) Inspect the long bore where the pin resides in the lever to make sure it is clean and debris-free. 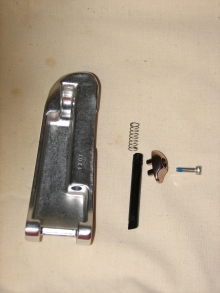 7) Replace the spring in the bore, then insert replacement plastic pin. MAKE SURE the beveled side of the pin faces AWAY from the lever. 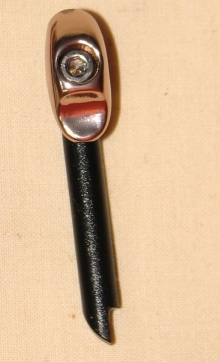 If the pin is installed backwards, the safety catch will not automatically engage when the latch is closed, and MAY DISENGAGE without rider intention! 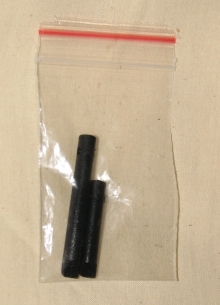 Insert the 2mm hex tool through the slot in the lever and into the small hole in the plastic pin. Position the hole at the middle of the slot with the hex key pointing straight out. Place the slider into the slot, then insert the screw into the hole. Make sure the screw is lined up with the hole; it should screw in easily. 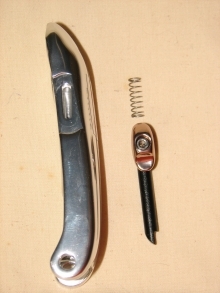 DO NOT over-tighten the screw; use the short end of the hex key as the lever and make the screw snug. 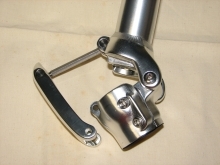 8) It should now be the work of a couple minutes to reinstall the lever on the handlepost. Be sure to adjust the hexagonal shaft for the proper amount of closing force. 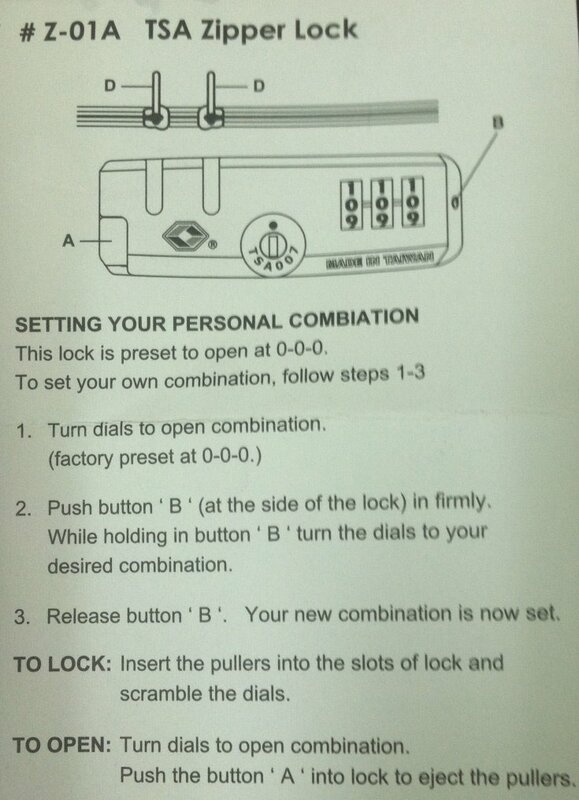 9) Verify correct operation of the safety catch. You did it!